If you decide to install Trafficmaster allure with gripstrip technology in your home, by yourself, you could find this video from Home Depot very helpful. There are variety of color options with either a wood or tile appearance and it’s available in planks or tiles. This particular vinyl product is water resistant so it’s ideal for wet areas like kitchens, baths and laundry rooms. 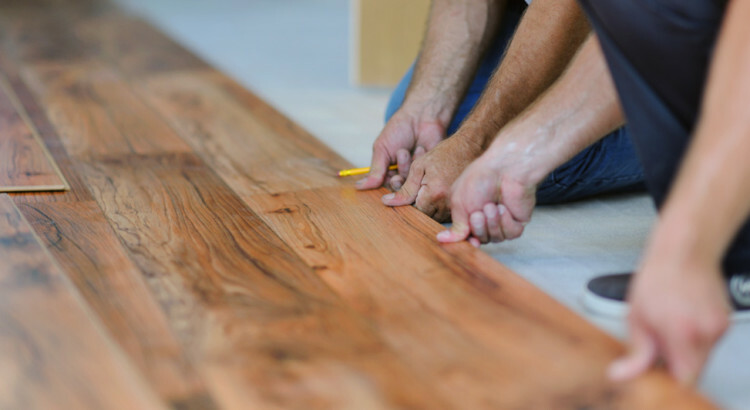 Once the planks or tiles are placed role the scene with the hand roller to strengthen the bond between the gripstrips. Applying the proper pressure is key to forming a solid bond. These scenes should be rolled once again with a 75 to 100 pound floor roller when the floor is complete. This will allow the gripstrip’s adhesive to form a more permanent bond. However, this type of flooring is not designed to be installed on stairs, vertical surfaces and non-temperatures controlled areas. Before beginning the installation allow the planks to acclimate to the room of installation and their unopened boxes for at least 48 hours. The temperature of the room must be between 65 and 85 degrees and you should purchase 10 % more than needed to allow for waste and the mistakes. Do you need the roller (shown in the video) for installation or can you press down manually on the planks to get the same result? It is strongly recommended that you use a hand roller and a 75 to 100 lb roller to ensure seams are tight. Do you need to put down any type of cushioning material before floating the floor? The only approved underlayment for Allure is a 6 mill poly and that is only needed when installing over cement. Any cushion underlayment will void the warranty and cause the product to lift. I have been browsing online more than 3 hours nowadays, yet I never discovered any fascinating article like yours. It’s lovely worth sufficient for me. In my view, if all webmasters and bloggers made just right content material as you probably did, the web will be much more useful than ever before.